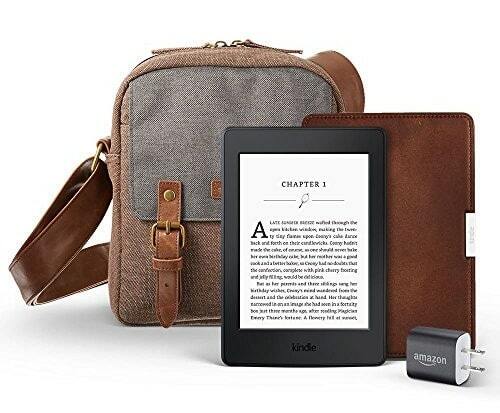 Like many other traditional publishers, Amazon Publishing has multiple imprints under its brand that specialize in different genres and categories of literature. Today, the company announced a new imprint, Amazon Original Stories, that will focus on “one sitting” fiction and non-fiction. The titles published by Original Stories will be found in the Kindle Singles store, but they differ from the original concept of Kindle Singles in that these titles will include fiction and works by well-known longer form authors and new authors alike. So far, stories are in the works from W. Kamau Bell, Jade Chang, Eddie Huang, Janice Y.K. Lee, Walter Kirn, Dean Koontz, Wednesday Martin, Nick McDonell, Harold Schechter, Dan Slater, Dodai Stewart, Susan Straight, and more. The first two titles from Original Stories, “The Sign of the Beast” by Joyce Carol Oates and “Crown Heights” by Colin Warner and Carl King, are available now from Amazon. Best of all, both Prime and Kindle Unlimited customers can read all Original Stories titles for free, while other customers can read them for $1.99.